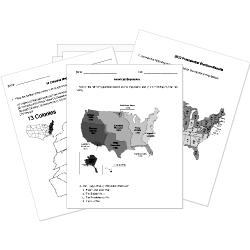 You can create printable tests and worksheets from these Grade 5 Ancient History questions! Select one or more questions using the checkboxes above each question. Then click the add selected questions to a test button before moving to another page. Who was the Egyptian god of wisdom and writing? Who was the god of the sun? Who was the god of the underworld and resurrection? , the goddess of magic and healing, was also the wife of Osiris. Who was the god of the sky? During the reign of Akhenaten only was allowed to be worshiped. Which god weighed the hearts of the dead to determine their afterlife? Who was the goddess of music and fertility? Who was the goddess of truth and law? Bast was a goddess of warfare and . Citizens of the Roman Empire had to pay heavy taxes to finance large . Ptah was the patron of which job? What type of tribes were attacking the Roman borders frequently and relentlessly around the time of the collapse of the empire? They were only attacked after the empire fell. Name the three (3) main time periods of Egyptian history: New Kingdom , Middle Kingdom , and Old Kingdom . What was the name of the salt used to dry out the dead bodies to make mummies? Which of the following did not have his tomb robbed of its treasure? , the god of deserts and chaos, murdered his brother Osiris. In the 16th century BCE Ra merged with which god?